Our talented team of chefs have more than 30 years combined experience of preparing delicious dishes for events in the UK and abroad. They have one thing in common – a passion for visibly pleasing, fantastic tasting food and first-class service. We cater for events ranging from product launches and corporate receptions to weddings, private dinners and garden parties. We aim to make every occasion special by complementing your vision with our expertise. Choose from one of our selected menus or let us tailor a menu to suit your requirements. Whichever you choose, our contemporary style of cuisine will ensure you and your guests have a truly memorable dining experience. As far as possible, we use local produce and suppliers from Surrey and Sussex which means you get the finest food made with the freshest ingredients. A passionate love for the unique beauty of the pearl is the foundation upon which DawnRose Pearls was established and is the one thing which will never be compromised. 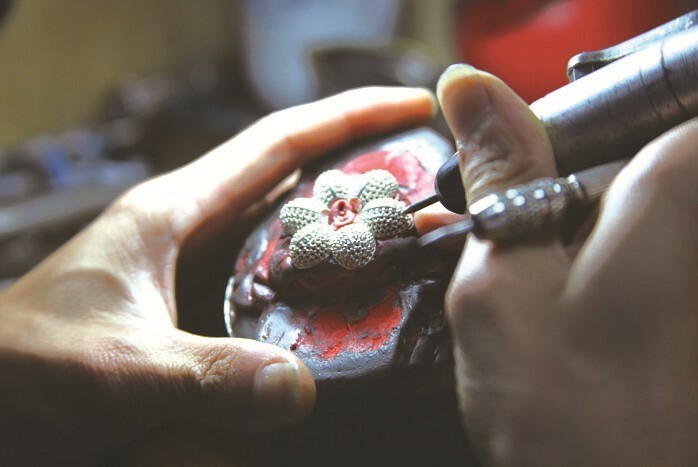 Our team, including pearl experts with years of pearl industrial experience, GIA certified pearl graduates, pearl famers with decades of pearl cultivation experience, in-house professionals for pearl grading and assembling, all aim to deliver the best customer service. Commitment to quality is the single-most distinguishing feature of the services we render our customers. All our pearls are hand-selected and carefully inspected for high luster, perfect shape, blemish-free surfaces and genuine, rich colours. Our business is based on direct purchases/productions from pearl farms stretching from South and East Asia to the South Pacific. With our face to face connection with pearl farmers and industrial processors, and first-hand experience in grading and assembly, we assure high quality pearls obtained directly from the finest harvests. It is through a combination of high ethical standards and being able to avoid all middlemen that we guarantee both unbeatable prices and high quality. DawnRose Pearls offers all categories of high quality pearls, in every natural pearl color that can be obtained world-wide, as well as genuine pearls that are difficult to find in the current market, enabling us to meet the demands of the most exacting customers. Apart from our classic pearl products, our designer collections are always on top of the current fashions, providing stunning jewellery for all occasions. Commitment to quality is the single-most distinguishing feature of the services we render our customers. All our pearls are hand-selected from thousands of pearl harvests and carefully inspected for high luster, perfect shape, blemish-free surfaces and genuine rich colours. If you are a beginner in purchasing pearls, you might want to refer to our Pearl Grading section to find out how to assess the quality of a pearl—it’s easier than you think! We have also provided tips in our Customer Beware section to help you avoid deceptive practices employed by less than reputable pearl dealers. A passionate love for the unique beauty of the pearl is the foundation upon which DawnRose Pearls was established and is the one thing which will never be compromised. Because we believe only the genuine features of a pearl can reveal its natural purity, we do NOT deal in faux/fake/imitation pearls, whether shell/glass/acrylic pearls, or dyed/irradiated pearls (such as black/grey Freshwater/Akoya pearls or “chocolate pearls”). We only choose the high quality of genuine pearls with natural colours. All of our pearl products are quite customizable, offering our customers the delight of being as creative as they wish. This creative license extends not only to pearl color, size, shape or clasp, metal setting, or necklace length, but to any new ideas one might have about design. Just Contact Us with your special requirements and our experienced pearl experts can make your pearl dream come true. The information provided in our section All About Pearls is so extensive that a mere beginner can not only become well-informed about the nature of cultured pearl production and processes, it’s history and the current market, one can also learn to distinguish for oneself the overall quality of a pearl. Armed with this knowledge, we invite you, with full confidence, to determine whether DawnRose Pearls, indeed, has not only high pearl quality but an exponentially lower price than anywhere else. If you are not completely satisfied with your purchase for any reason, just send it back to us for a 100% refund within 60days. For orders over £100, DawnRose Pearls offers: FREE UK Royal Mail Special Delivery™ Next Day- Guaranteed by 1:00pm on the next working day to 99% of the UK addresses (the best service Royal Mail offers). For orders under £100, DawnRose Pearls offers: FREE UK Royal Mail First Class Recorded Signed For™ - Delivery mostly within one working day. Each of your purchases will be presented in an elegant precisely matched velvet, navy blue gift box to showcase your pearls, while the gift will be professionally wrapped in glossy silver or red gift paper and finished by a silky embossed gold ribbon. The Pearl Care Kit includes a silky, soft storage pouch to store your pearls when they are not being worn, an introduction card printed with pearl care information and a microfiber cloth to clean or dry your pearls. You can make your gift even more special by adding a personal message on our carefully designed gift card. This card with your personal touch will be sent with a matching envelope to your gift receiver along with the pearls.